With more than one million Britons hitting the slopes in the coming months, a website has revealed the nation's favourite skiing destinations. According to the tour operator directski.com, the best location for new starters is Arinsal in Andorra, which it describes as being "unpretentious" and "away from the glare of Europe's superior skiers", while also providing excellent value for money. The company also recommends Les Arcs, France, due to its close proximity to the Eurostar train service, allowing environmentally conscious skiers to minimise their carbon footprint. Next on the list is Kaprun in Austria, which the site singles out as the best family ski resort, due to its children friendly hotels and sports centres. Pas de la Casa, again in Andorra, is the UK's favourite value ski destination, as it offers cheap discos, restaurants and cafes, along with happy hour bars. For champion skiers, former Olympic resort Lillehammer in Norway is a must, featuring everything from tobogganing to sleigh rides. 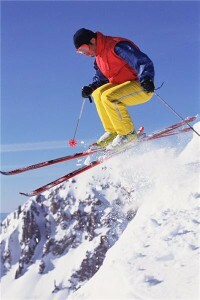 Research published earlier this month noted that a third of all travel insurance claims come from winter sports accidents.